Dutch Mill Bulbs has been helping organizations like high school bands, church groups, clubs, and scouting organizations earn more money with less effort than any other fundraiser, since 1960. They’ve tailored their flower fundraising program into a finely-tuned profit machine. Cazbah designed a dynamic website that was easy to use and that customers could easily navigate and interact with to find the product information they were looking for. Once complete, Cazbah optimized the website so search engines could index it easily and rank it in the top 10 search results. 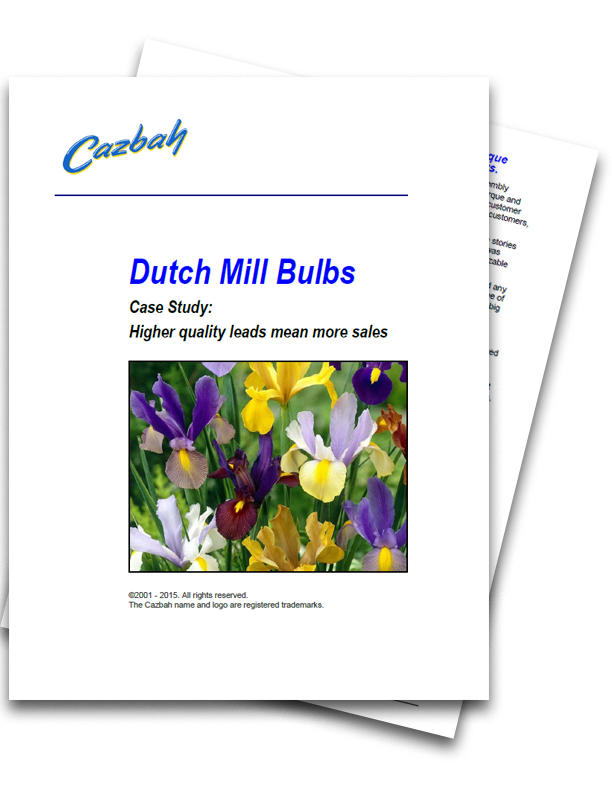 Over the years, Dutch Mill Bulbs has amassed thousands of email addresses from past customers and interested prospects. These contacts represent a significant portion of Dutch Mill Bulbs future sales. Cazbah provides a monthly email marketing campaign to these prime sales leads, ensuring that they receive the information they will need to make their buying decision.